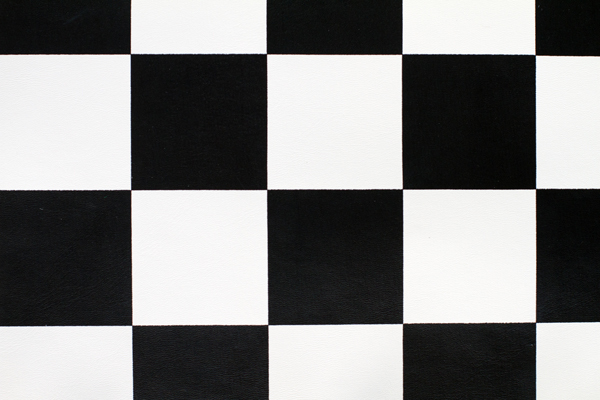 Famous grandmasters insist that appearance of chess isn’t important at all. 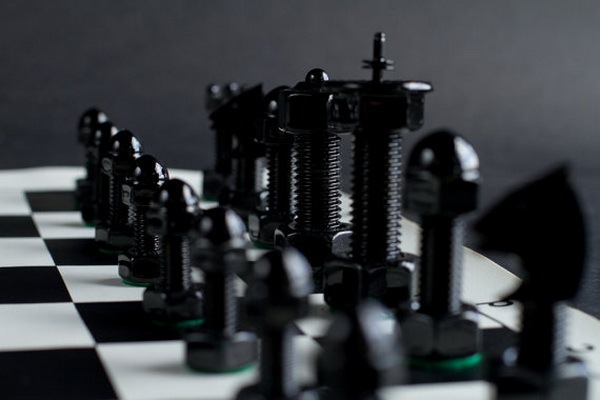 Most importantly – strategy of the game and opponent skills. But this doesn’t prevent modern designers to create new models of game pieces, more and more creative. 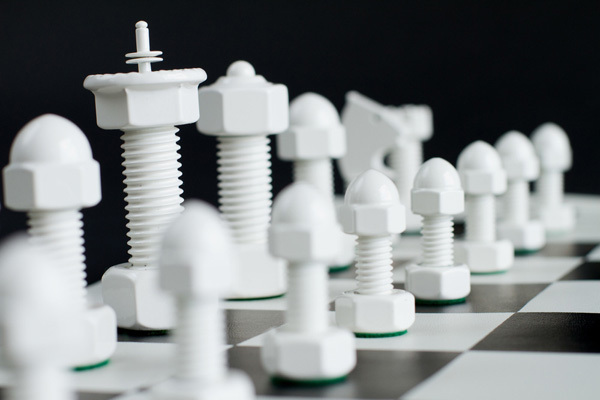 The most unusual are chess sets made from nuts and bolts. 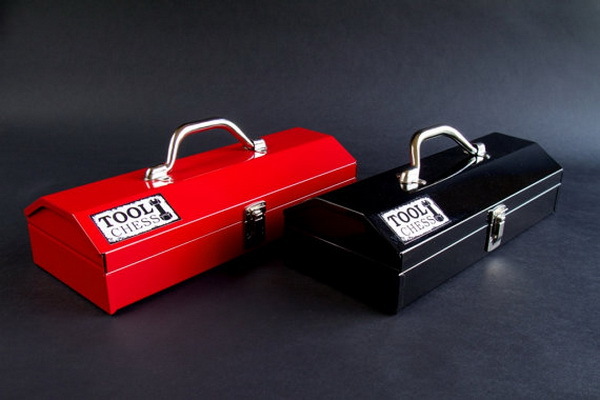 “Tool Chess sets are 32 handsome, handcrafted chess pieces served in a tool chest carrying case (available in Black and Red). They are made in beautiful Grand Rapids, Michigan by myself and my father. 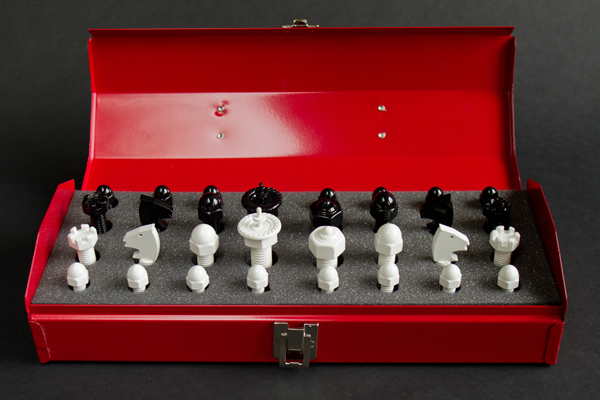 Tool Chess pieces are handcrafted out of everyday hardware pieces that are powder-coated, giving them a beautiful finish. They’re quite hefty!” Interested? 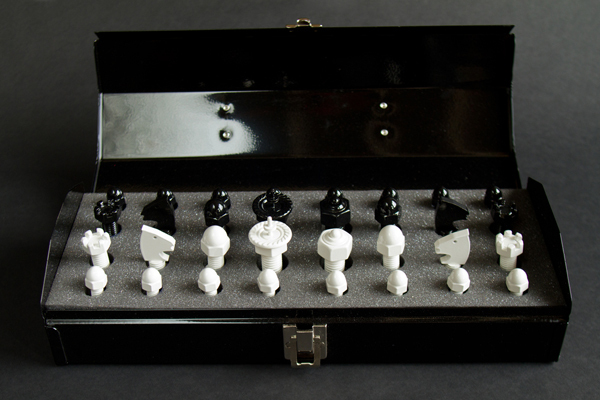 You can buy this chess set here.